It was recently pointed out to me that not all visitors to this blog or my websites have heard about the Resonance Repatterning system that I use in my online sessions and in one to one sessions. This post is for anyone wanting more context to the other posts I am writing where I just assume a repatterning is in order. I first heard of this system of healing by Chloe Wordsworth here in Toronto back in 1995 and had a session with the future organizer. It was an amazing session that seemed to go to the heart of the matter. The first class in Toronto was the following year and I took them all. I was stunned at how over half the 60 members in the first class (or it seemed that way) arrived from other countries as far away as South Africa. The experience was indeed a paradigm shifting one for me leaving me with the new perspective that our thoughts create our reality not the other way round, and that what we resonate with is what we tend to experience. A simple enough formula but with an inner complexity that creates a perfect shift in awareness for your situation.. In resonance repatterning sessions we start with a few additional givens. our repeating patterns or non coherent perceptions were formed at a time when our life needs were not met and we constricted to that pain. This principle certainly lined up with my undergraduate studies in Early Childhood Education at the University of Guelph where a major focus of the curriculum was how early years experience impacted one for life. our own inner wisdom can access the precise pattern that is ready to shift for us today. we can access the patterns that need to come to awareness and create a shift by using muscle checking and ancient wisdom maps of the chakra and meridian energy systems. The information revealed is guided by our own inner wisdom (some might say higher self) that knows what is needed. 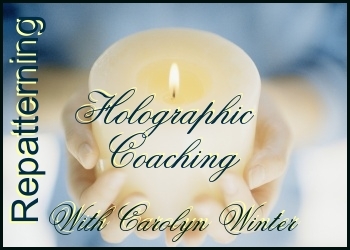 As a facilitator of the session, our fields of energy entrain and I am guided by your inner wisdom and the Resonance Repatterning method to bring patterns to your awareness that underlie your current situation. This notion alone continually surprises me. My ego has learned not to participate as my professional background, experience and skills take a back seat to what the system – the client’s system (your system) dictates via the muscle checking. Change and transformation has its own timeline for each person and situation. Sometimes one session seems to create miraculous results. For example a job offer comes through, a contract gets signed, a relationship issue is resolved, etc.At other times we can work on a problem or limitation for numerous sessions and it seems that nothing is happening as a result. But after all these years I have realized that something is ALWAYS happening as a result of a session. I imagine it is the brain’s neuro-net building up a new pathway of thinking. Sometimes the path to do so is clear and takes but a session. At other times there’s a tangle of underbrush – layers of interlaced problems that need clearing. But if one stays committed to growth and transformation, each session clears some of the debris away permanently – we just don’t recognize it. However, the reward is the sweet quantum leap in transformation as the final bramble is removed and the new way of being integrated. This system of self-healing intrigues me as you can repattern anything with a vibration (even my plants have benefited). The range of topics and applications are infinite. 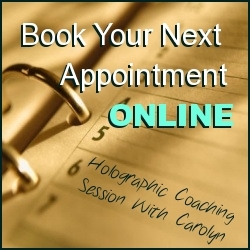 I love doing sessions for individuals and do them in person or by phone. The sessions done online by proxy (otherwise known as long distance healing) give me the opportunity to present topics of shared interest and sessions that are economical enough for everyone. Did you have a question about resonance repatterning or how we are using it here at the LightTravels.com program? Please leave your comments below and I will get back to you.